Just the perfect pair for any occasion. These are classy. Stylish - this set has a large dash of class. You will like these. There is something about this piece that makes it a stunner. 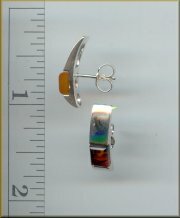 Comes in earrings and bracelet also. Number 3 on that page. 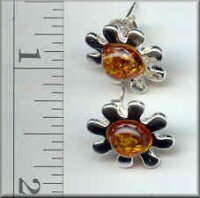 Beautiful set of earrings. This earrings are gold plated. Coolest ones we have seen in a long time. These are a pair of fairies - and they look like them also. The detail is just fun to see. Asterisks for the geeky-cute in your life! You will love these so much - you will use them every day - and the price is great. These are sharp. Each earring has 5 leaves - I just think this is cool. Talk about a modern and current necklace! Here is a beauty that can be worn at anytime with any outfit! I love it. 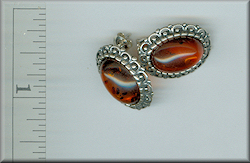 The earrings and pendant are sold as a pair. 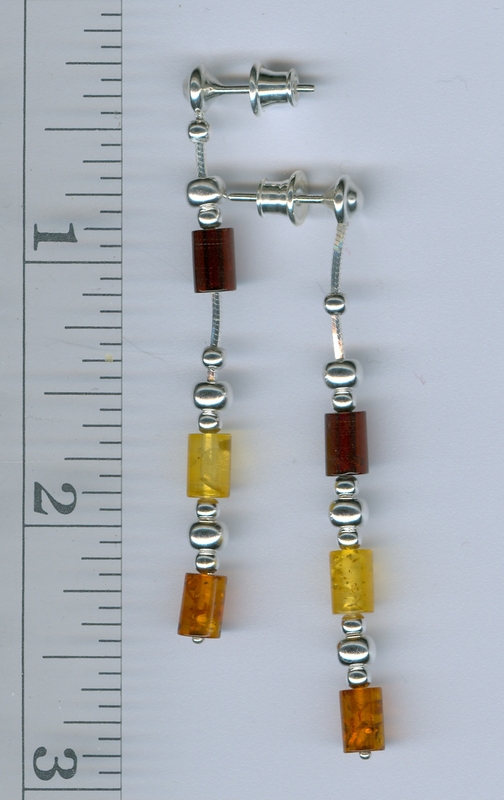 Dominican amber with solid gold wire and attachments. Very rare to see this. The pendant. The earrings are just out of this world. This is the cornerstone of anyone's jewelry collection. 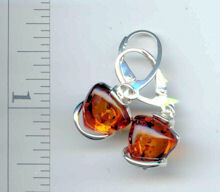 Beautiful Baltic amber - one earring has a midge and the other a dark winged fungus a gnat, Sciaridae. This is a very nice set. I wish I had a ton of these, but we only have a few. 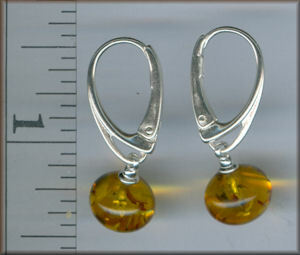 If you like dangly earrings in white Baltic amber, this is love at first sight - and the price is right also. This is a classic beauty with traditional loops for the ears. We do not have many of these. There is something about this piece that makes it a stunner. I do not know what, but once you've seen it - wow, you'll never forget it. Sometimes earrings are just plain cute. These fairy earrings will look exciting and fun on anyone. Offered at a price you cannot refuse. What colors in the amber! 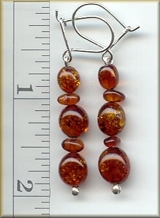 Large dangling earrings that are sure to catch everyone's eye. Not sure how to describe these - old? new? - but whatever, they are great. Modern squiggles, what else can I say - but boy do these sell fast. These are as cool as things get. If you are into music - just wonderful. 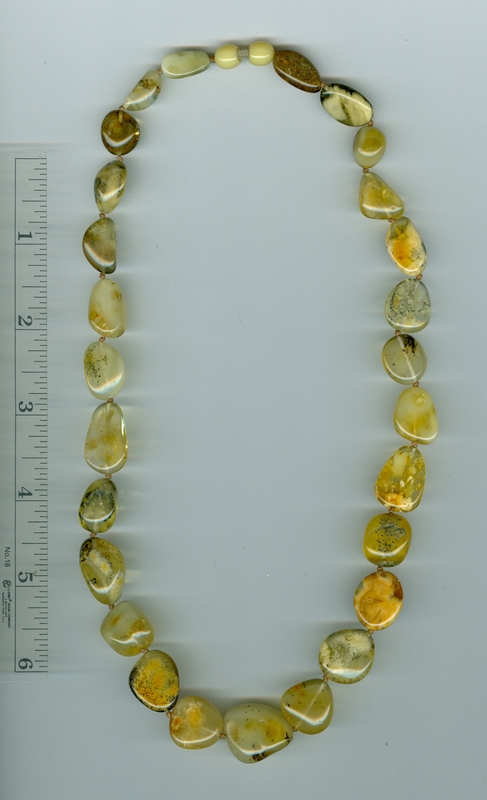 Some of the amber pieces are different colors (brown, green red, etc.). Classy set, good looking silver and just plain impressive. 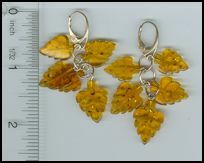 Circular almost grape like clusters of silver coming from the amber. 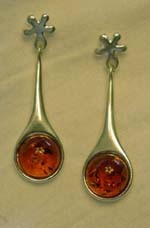 We have the post earrings like this (shown) or the 'dangly' ones. Almost like a Victorian shield of amber. These have points at all four cardinal corners rather than leafs at the top. Similar to 32, but does not have the cardinal points, but leafs at the top. This is beautiful. Classy, this set, a pendant and earrings is just what the doctor ordered. 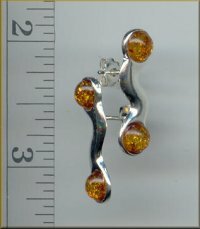 Beautifully done in sterling silver, this one is really good. 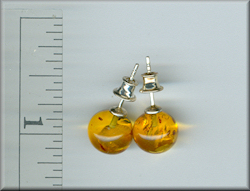 The pendant is about 2.0 inches in diameter and the earrings are about 1.5 inches in diameter....nice sized.